While I’m looking out the window at 3 more inches of fresh snow here in The Mitten, the sun is shining with that just-about-ready-for-spring brightness that only those who live through freeze-your-face-off winters really understand. And while I wait for open windows and spring cleaning, I thought it high-time to update my blog to a fresh, new perspective. But the question I keep asking myself is, “Is there a fresh perspective to find on another children’s writer’s blog?” Call me optimistic, but I think there is. There are many great writers out there who are just like me- published in many arenas, but still waiting for that one book, that one contract, that one agent that can help move us from where we are to where we want to be. 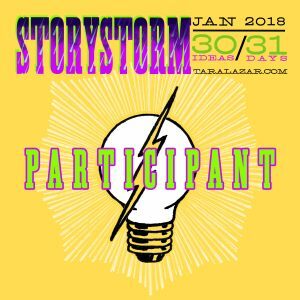 Writers who conference, submit, write, re-write, revise and revise again- patient, persevering, hard-working folks who learn something new every day about this amazing journey that brings words, stories, joy, light and hope to children and their families. So come join me where I am. Trust me, you’ll find no judgement here, just loads of things I’ve learned about craft, what stays the same, what changes, and how to adapt and grow in a market that looks just a little bit different each day. We’ll delve into the hidden language of editors who say things like, “I like the premise of the story, but not the voice!” or agents who offer, “Your characters are strong, but I only do books that I feel passionate about, and this just missed the mark for me.” I’ll tell you what I think makes a strong plot or an amazing picture book, if you’ll promise to do the same. And I’ll even be brave enough to tell you why I do or do not like the latest Newberry winner, or why I was left scratching my head after reading a book everyone else in the writing community thought, “This is the best thing I’ve ever read!” Because developing a critical eye is how we all learn and grow in this business that I’m proud and happy to be a part of. 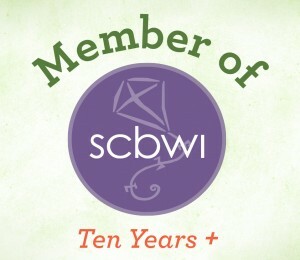 So, come by often and let’s talk craft, creativity and the practical, business side of writing. I’m ready if you are! Yea, Patti. I’ll stop back often. Thanks Ann! So glad you’re here! This is going to be great, Patti! Good for you! Thanks Carrie! I hope so and glad you’re here! It is the most perfect blog for you! The only thing missing is a cow or a chicken or a fish! When I can figure out how to insert a cow Lisa, you know it will be here! Looks great Patti! It has a soft homey look to it. Good advice – improving our craft is ongoing and we do need each other for continual feedback. Thanks! Very nice, Patti – clean lines and comfortable design. Hooray for you! I need to do the same! Yes it is! Thanks Buffy! Glad you’ll be blogging more. Look forward to seeing your posts. Hi Patti. I’m glad you’re blogging and I’m a gonna follow you. Er, your blog that is. I’m not a stalker…really. ;-} I love the honesty in your writing, and I know that you’re going to land that contract one day real soon. The “imperfect writer” tag really drew me in. I think we all fit into that category–and I have to keep reminding myself that it’s okay to be imperfect! Thanks Suzanne! And welcome to the conversation! Congratulations on ypur updated blog. Reworking a blog takes a lot of time and energy and perserverance. The only thing good about this winter is that it lets us focus more on this kind of stuff. Looking forward to more posts in the future. Patti, what a nice dose of encouragement. I love your reference to freeze-your-face-off winters. It made me feel connected. Isn’t the power of language awesome? You’re pretty awesome yourself. Thanks for putting time and energy in encouraging us snow-bound writers. Nice job Patti, looking forward to your posts. You inspired me to “get out there” too!